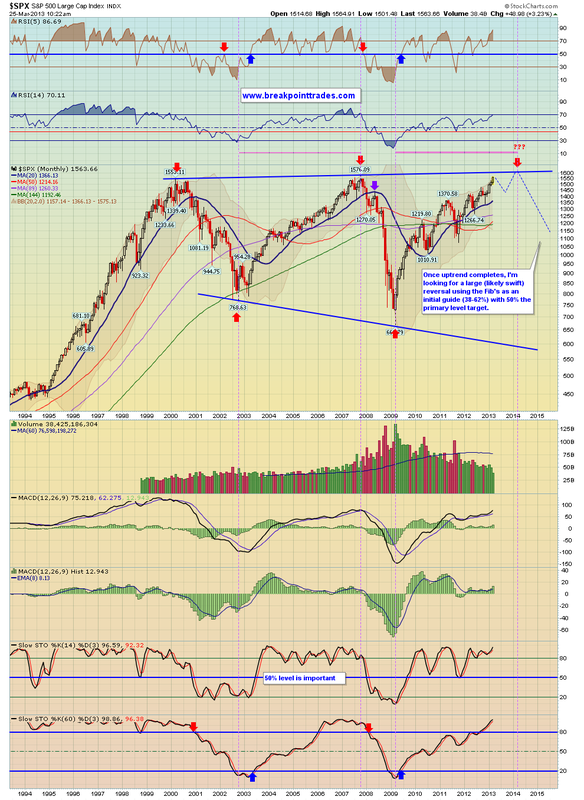 Here's two weekly charts, one for the S&P 500 and one for the Wilshire 5000. As you can see, the S&P is very close to its all time highs, why not test them. 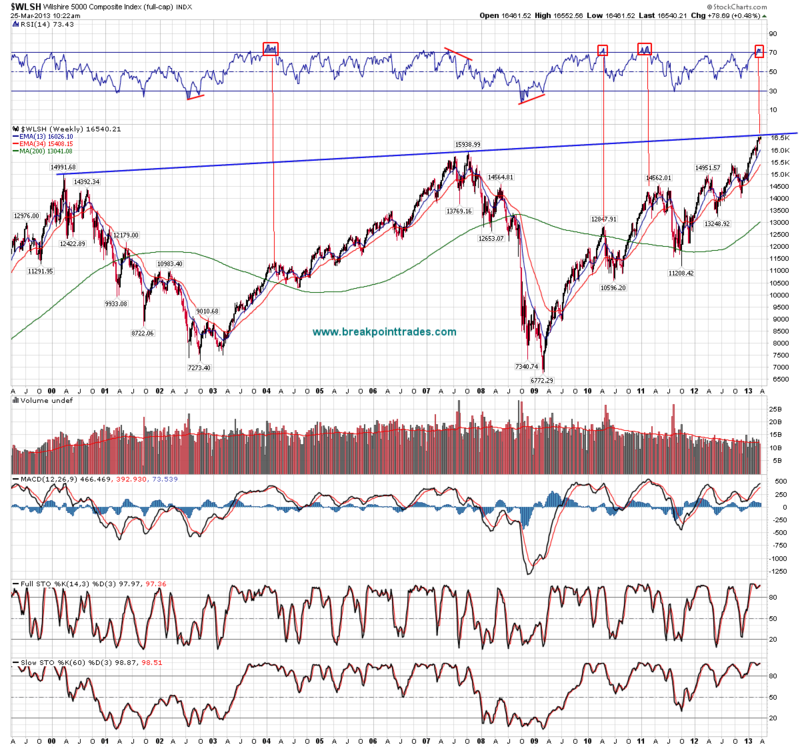 Also the Wilshire 5000 is very close to the upper trendline which connects the 2000 and 2007 highs. 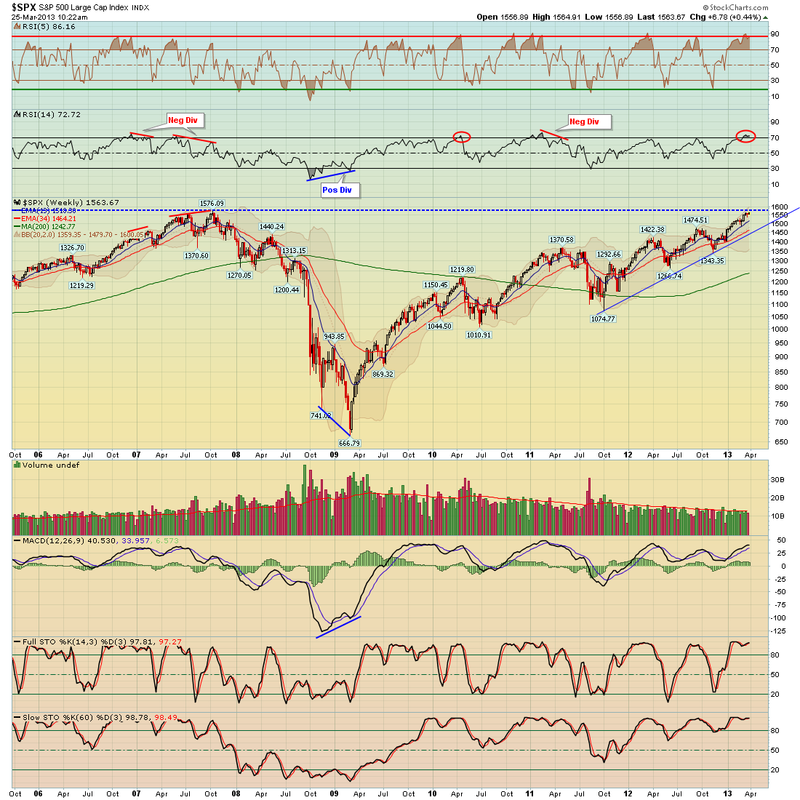 Short term these indexes may want to tag these areas or get very close to them, however then I'll think we'll get a decent pullback and sell off in April and May in the Sell in May effect as the RSI indicators are sky high.